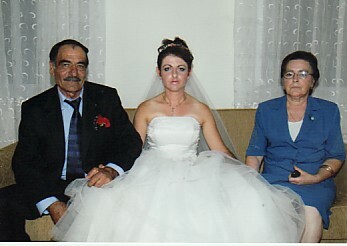 Above: My parents, Dimitrios and Ekaterina. Above Middle: My family. In the top row are my siblings, Efpraxia and Panagiotis. 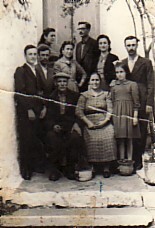 In the middle row are my siblings Georgios, Kostantinos, Maria, Eleni and Ioannis. 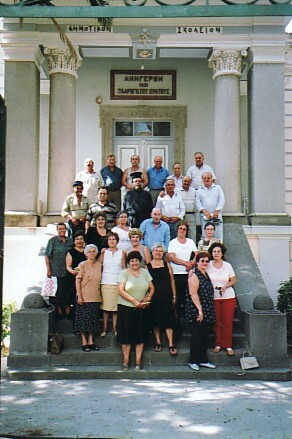 In the front row are my parents Dimitrios and Ekaterina, and me. 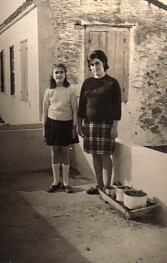 Above Right: With my niece, Magda. 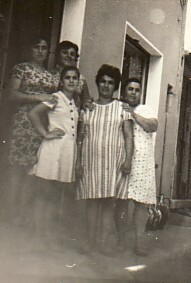 Above: With Despina Iosifelli, Magda Skarvelli, Mersini and my sister, Efpraxia. I am first on the left. 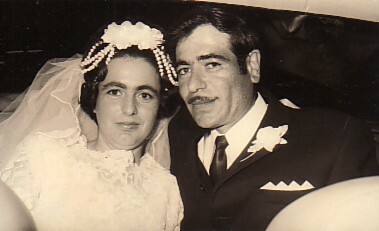 Above: With my husband, Ignatios, on our wedding day. 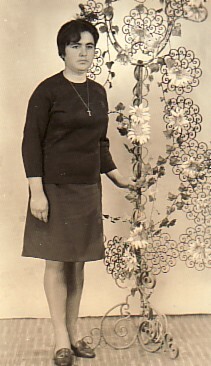 Above Right: At a social dance. 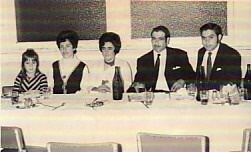 L-R: Stella Lazoglou, Maria Koudouna, myself, my husband, Ignatios, and Angelo Koudounas. . Above: With my husband, Ignatios, and our son, Georgios at his baptism. His godfather (right) is Theoforos Lazoglou. . 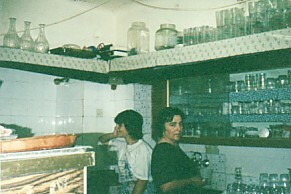 Above Right: With my daughter, Chryssa, in the kitchen of our kafeneio in Mesotopos, which we ran for twenty-eight years (1989- 2008). Above: With my peers at our recent school reunion; the class (sixth grade) of 1946. 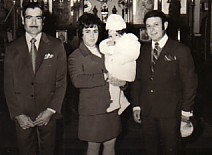 Above Right: With my husband, Ignatios, and our daughter, Chryssa.